← The (Snow) Storm is Coming! 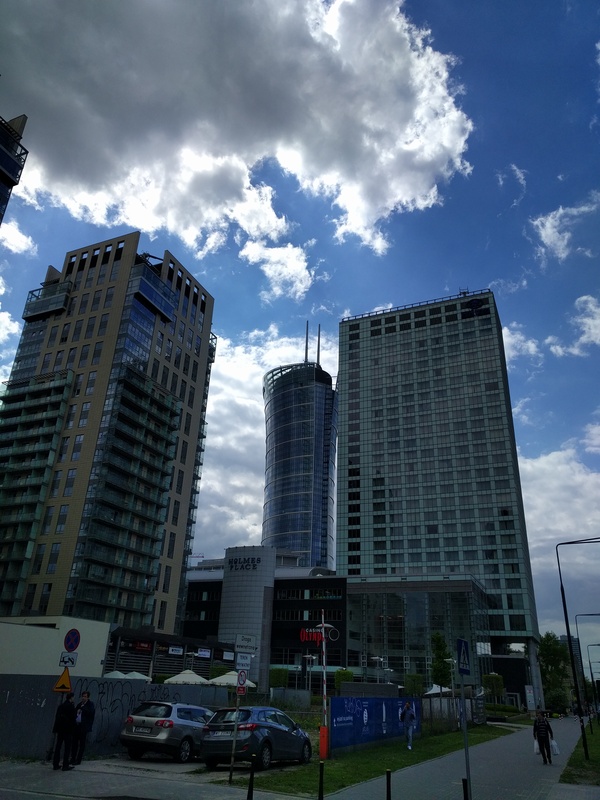 We successfully made it to Warsaw, Poland – but with only one of our suitcases. Checked into the Hilton in Warsaw. I had so many frequent hotel points, could not resist using some of this trip. Not the best location due to all the construction, but not too far from many places. 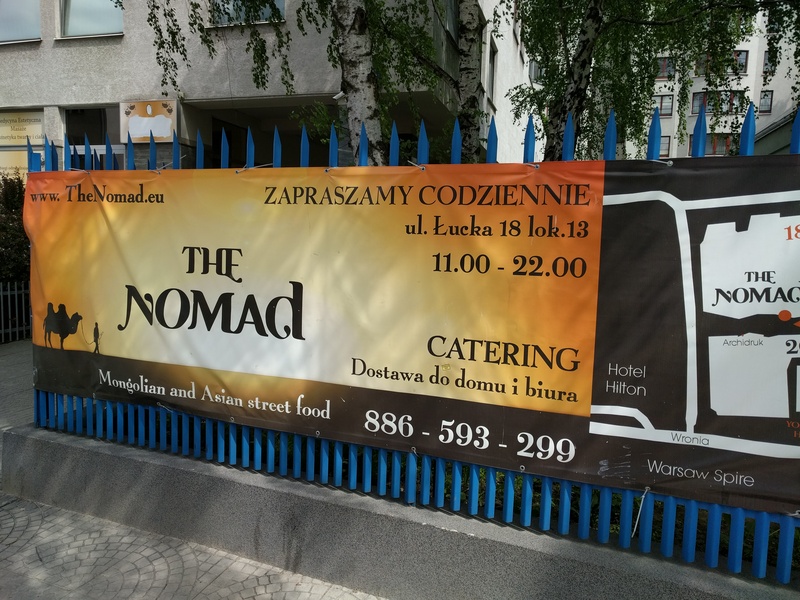 Now, where to go and eat here in Warsaw…go local on the first night or go exotic in a place near the hotel? Definitely a modern city here in Poland. They even seem to be building an American style football stadium nearby. I thought only Americans and Canadians played that type of football? You have to love visiting Europe this year with the strong dollar. Bought a decent bottle of Chilean wine, two Gatorade’s for running tomorrow and a sparkling water for ~ $10. Cannot complain. 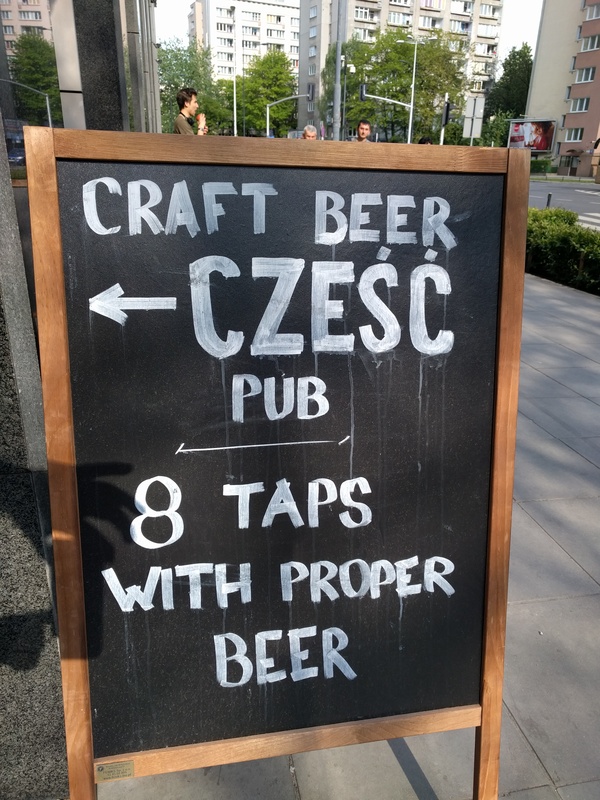 It seems that people love craft beers here in Warsaw. You have to make sure they are proper though. We took a walk around the neighborhood. There is definitely going to be some great architecture and history to view in this city. We think the church is the distance is where the former Pope John Paul came from…but not 100% sure as our polish is not too good. 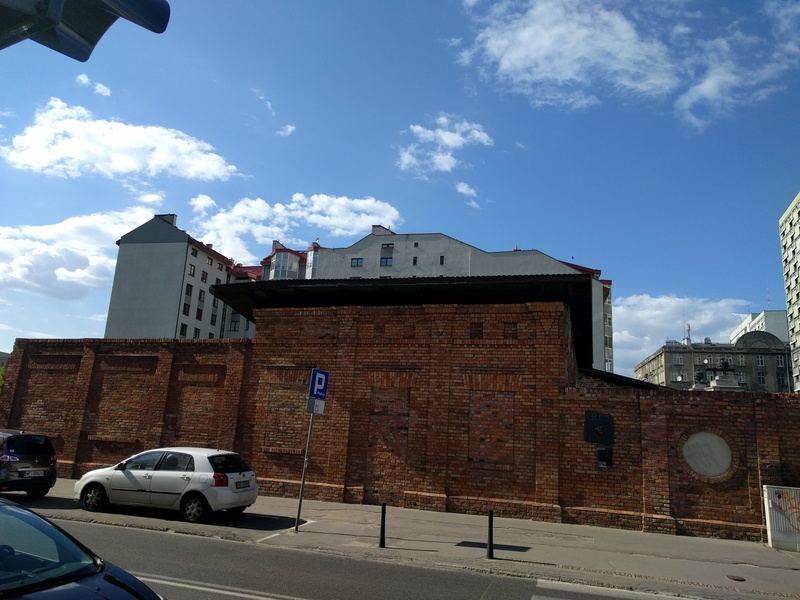 On the way back to our hotel, we found a partial remains of the ghetto wall that existed in the city during WWII. Very shocking stories behind the two ghettos. 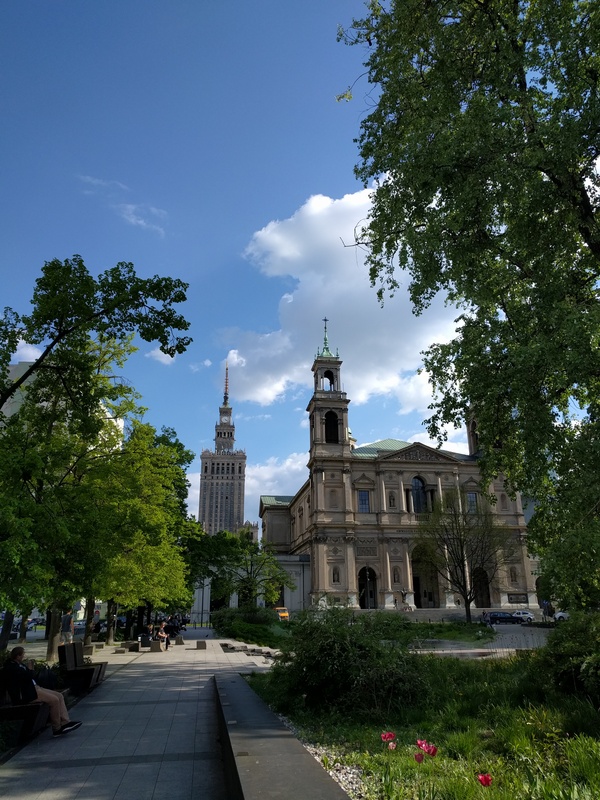 This entry was posted in International, Travel, Uncategorized and tagged Poland, Travel, Warsaw. Bookmark the permalink.